Help spread the Good News of Jesus Christ to the people of the Middle East with your gift to the Billy Graham Evangelistic Association. 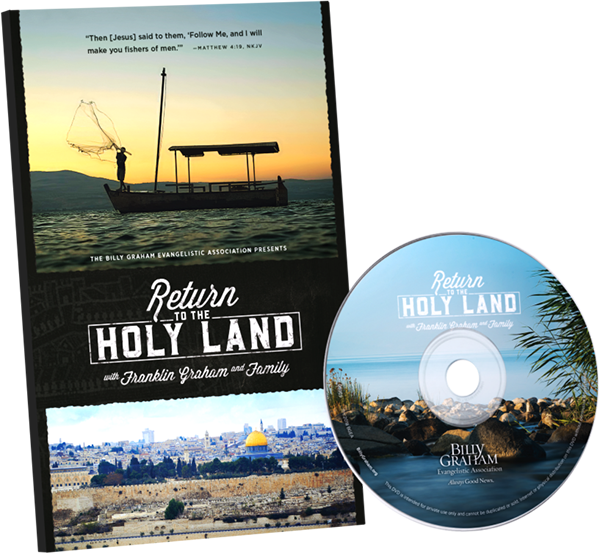 As a special “thank you,” we’ll send you the DVD, Return to the Holy Land. This free gift offer is for U.S. residents only. While supplies last. Please allow 4-6 weeks for delivery.